Consumer Report – graze and Happify – Trees & Flowers & Birds! Anyway………..it’s time for another round of Consumer Reports! Two new companies crossed my radar in the last month. Those apple cinnamon flapjacks in the top right corner? AMAZING! Everything else was really good too. And, like I said, the perfect serving size for my morning snack at my desk. When you go on the site, you can immediately start pre-rating the selections meaning they will control whether they send you items or not. Since I am a skosh picky (cough)….I immediately went through the list and marked all the items with banana or coconut as “never send”. I thought it was pretty awesome that since there is a little bit of a Russian roulette game going on when they choose your next box (you CAN go in ahead of time and control things too, but yeah…I’m rarely ever going to remember to do that weekly!) it is nice that I can eliminate some. Week two has a nice mixture as well – all different flavors and types. Today I ate the “bonnie wee oatbakes with red onion chutney” and they were surprisingly yummy together! The bottom line is – check out their site – they are in a trial launch in the U.S. right now. I got in via an invite and I’ve already given out the one invite they allowed me. But I think if they keep getting positive feedback from those of us already enrolled and then get tons of others submitting their emails for future sign up invites, then they will commit to the US 100% a lot faster. And honestly – what was I bringing in or eating for my morning snack before? Something that easily cost between $1-2 per day and POSSIBLY was as healthy and fulfilling but most likely NOT. Next up is a website called Happify. This one literally showed up in my in box last week. Despite the message that I put in my contact page here stating that I *do not* take guest posts because this is just a truly truly 100% personal diary type blog – I still get emails at least once a week. Now, I am not rude – I don’t just delete them and leave them hanging like that. I learned to kindly turn them down, wish them good luck and ask them to read the contact page note and send them on their way. So when a Happify founder emailed me, I did read the message but when I saw it wasn’t a guest post request I was ABOUT to hit delete. I mean, me? On a site called Happify? Someone who makes merciless fun of people who constantly spout out puppies hearts and rainbows? But…I had a moment of weakness/curiosity and checked it out, because – on the OTHER hand – I have been also trying to apply the Silver Lining rule to my mindset this year. There’s just so much in life every day that is out of your control, but you CAN control your reactions to those things. It turns out – this site is pretty damn in line with my way of thinking. Check out the Science page – I love that they use Science! This is another site that is in the launch phase. I have no doubt that blogging in the category of motivation is what got me an email invite. So far, everything is free and I am not entirely sure what they are up to, but in the meantime, there is no harm to me to participate. In fact, this little site is adding to my life on a daily basis in nice little ways. Plus it asks me to do something I think I do pretty well – cheer on others. It’s always helped my own mental outlook to make sure that I pick up/cheer on/compliment people around me. If you are at ALL curious about joining Happify – drop me a comment/email because I do have 4 invites to this site and I think many of you would enjoy it. That does it for this segment of Consumer Reports! Say It Ain’t So Mike! If you have any invites left for Happify, I would like one. 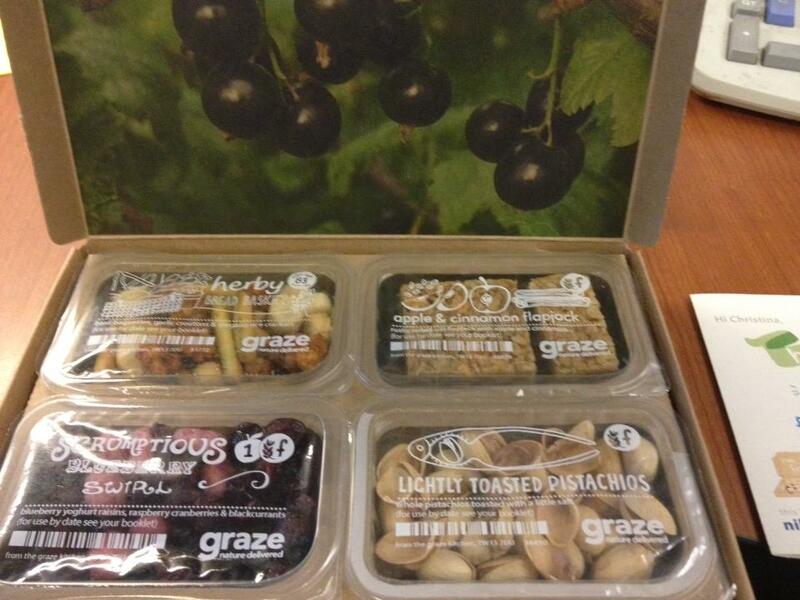 I signed up with Graze too, yum! If you have any invites left for Graze and Happify I would like one for each of them. Thanks! Hi, if you have a pass to Happify I would be very grateful if you shared it with me. I have a very close friend that I think would benefit very much from the site. Thank you. Hello, if you still have any invites left for Happify , please send.